Protecting your child’s teeth is most important from the early age itself. So as a parent it is our duty to teach the kids and taking care of their teeth until they can do on their own. 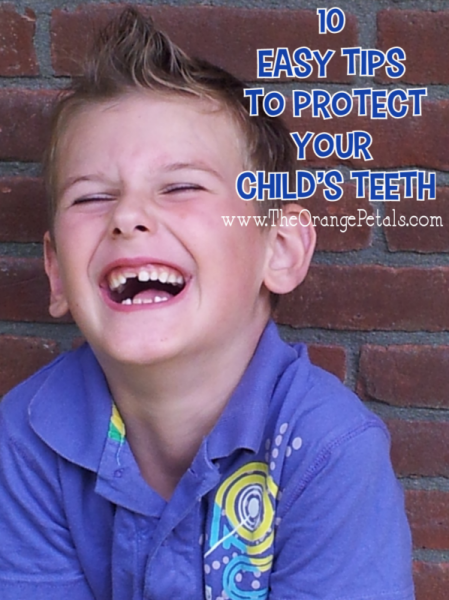 Here we discuss some 10 easy tips to protect your child’s teeth from the early age. Good habits go a long way in maintaining dental health. It does not matter what your age is, every one of us is supposed to follow a routine in oral care to keep the teeth and gums healthy. The same is true with children as well, as you need to teach from good oral practices right from the start. You don’t have to wait for the baby teeth to develop as you can still rinse and rub them gently and start their hygiene routine. Plus, you need to teach them what foods are good for dental health and what are not meant for overindulgence. Dentists always advise to start oral hygiene practices of your child early. Good dental habits need to be taught to them as soon as they reach the age of understanding things in general. Parents, especially moms, should try to clean their baby or child’s gum and teeth gently after each feeing with a soft cloth. This is how a good foundation to oral care is laid. Also check 5 cool tricks to convince your kids to brush their teeth regularly. Parent are wrong in thinking that baby teeth don’t need as regular and proper brushing as the primary ones. Rather, they should start brushing the teeth as soon as they come in. But yes, being gentle and using a toothbrush with soft bristles should the way forward. More importantly, only a thin drop fluoridated toothpaste should be used with regular brushing. Check the 5 common questions regarding brushing your kids teeth. Most parents start teaching brushing techniques to their children when they turn 3 or 4. Since kids learn by watching, there is always an opportunity to get the right message across and give them good oral care lessons along the way. It’s a good practice to ask your tot to brush gently, do floss the teeth regularly and then also clean the tongue daily. This is how a good awareness to dental care is spread gradually. Check how to make brushing fun for children. Fluoride is essential for healthy teeth. It re-mineralizes the teeth and also provides them strength. So, your focus should be on checking whether the kid is supplied with a water rich in fluoride. For that reason, the tap is good only till it serves the purpose. There are fluoride-rich paste in the market and you can easily find foods as well rich in this mineral. Chances of teeth decay are higher among children exposed to sugar-rich fluids or foods for a longer period than the rest. For that reason, dentists advise against letting a child sleep with a pacifier or milk bottle with sugars. Check the effects of Chocolate to your teeth. Plus, sugar-rich items such as sweets, candies, chocolates etc. make the mouth acidic and increase chances of bacterial growth which often leads to tooth decay. Cavities are among the leading causes of tooth decay among children. This problem is entirely preventable if you are in regular touch with the dentist and follow standard oral care routines. Plus, there are sealants to seal off grooves or gaps on the surface of teeth which stops foods to seep inside the teeth or remain stuck there. You can also get fluoride applications to keep your child’s teeth from the harm’s way. Check the tips for maintaining Oral health for adults. A good number of children, and even adults, have a fear of dentists. They think that a dental visit almost always results in unbearable pain and needless tooth pulling. We know this is far from the reality but kids often learn all this form their surroundings itself. Such little fellas pose a lot of problem whenever there is a dental appointment. So, parents should try to tell them only good things about the dentist and help them become friendly to such visits. Check how to make your kids love their appointment with the dentist. Most medications for children are either sugary or flavored. If you kid on medications for a chronic condition, then chances of cavities remain higher since sugary residue stick on the teeth. You are not going to stop the treatment but brushing after taking the medication can help in minimizing risks to such medicines. You can talk to the dentist in this regard and find some better solutions for sure. Check the 10 signs of calcium deficiency. It is not always possible to brush after every meal or snack, that too when the kids start attending the school. However, plain water can help to flush away food particles and debris from around the teeth between brushing, which can help to ward off potential decay. Encourage your children to rinse their mouths with plain water throughout the day or atleast after they finish eating. To ensure optimum dental health to your child, you should make the habit of visit a top pediatric dentist regularly. Twice a year is sufficient as this way the dentist can check if any problem is there and then recommend right treatment. The dentist can check for cavities, analyze development problems and advise a right oral care schedule. Such a visit can make you confident about heading in the right direction in regard to your child’s oral health. 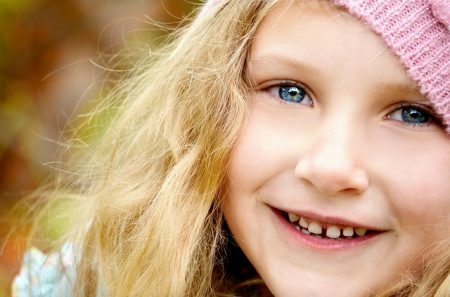 A recent study shows that children without any tooth problems until their age nine can have strong teeth and 90 percent of those kids can never have a filling in their life time. Saying this, doesn’t mean that they can start eating sugary items, unhealthy foods and no need to bother about their teeth after nine years. Following these simple tips helps to protect the child’s teeth for ever in their life.